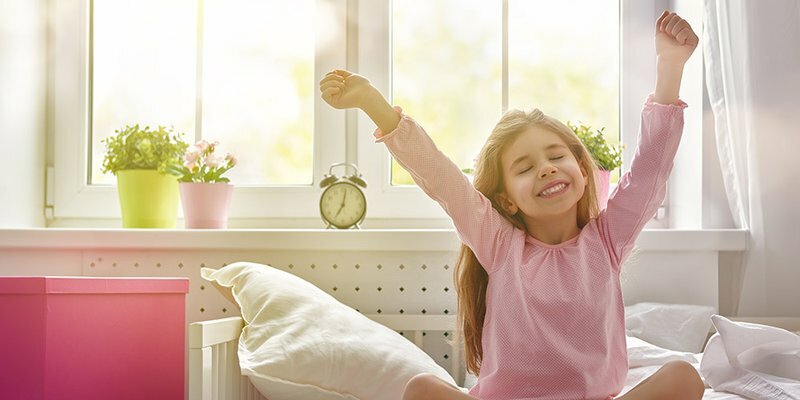 Your child’s bedroom is much more than just somewhere to sleep. It’s a space for playing, working and creativity; a little retreat where they spend lots of time, learn and make memories. So why not ensure this room is just as magical as they are? 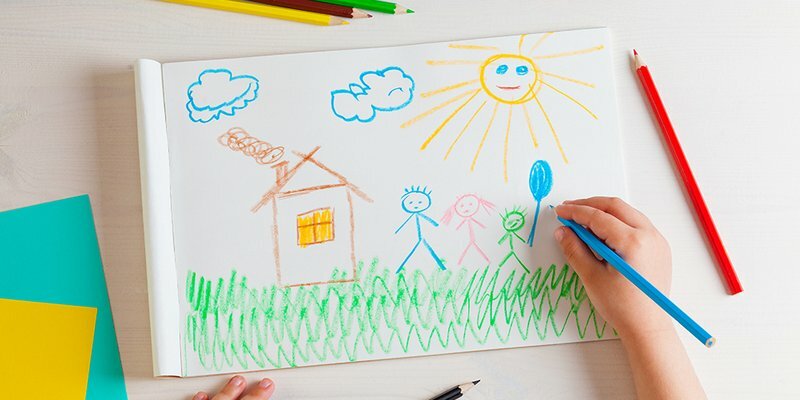 Whether you’re on a budget or really want to make the space pop, discover our favourite ideas for decorating in a way that's in tune with what your child loves, and will grow with them. Children’s bedrooms are always full of objects, whether that’s toys, stationery or teddies. And although it’s a good idea to tuck things away in cupboards or drawers, keeping some items out on display can really add to the fun feel of the room. Accessorise shelves with their favourite books and bits, choosing collections of colours that suit the room. Consider hanging storage, racks for shoes and bright, open boxes. It's not clutter when it looks good and if things are easy to find and put away then your child might even keep their room tidy! A child’s room just doesn’t seem complete without a desk or table for all those colourings-in and pipe cleaner puppets. If you’re stuck for space, then you might need to choose child-sized furniture that can easily fit in a corner. But if you do have the room, consider adult-sized pieces that will still be useful as your child grows. Accessorise their creative space with cute decorative objects, stationery storage and fresh plants. 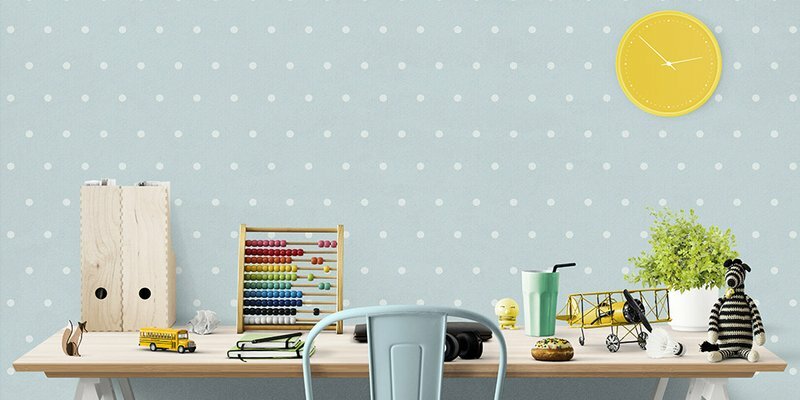 Make it feel just like their own little 'grown-up' office. Children love to experiment and make things from hand. So why not use the fruits of their imagination to give the room a personal touch? Hang their work in frames to add interest to walls and show them just how proud you are . Kids often love collecting objects too, such as seashells or the button they found at Grandma’s house. 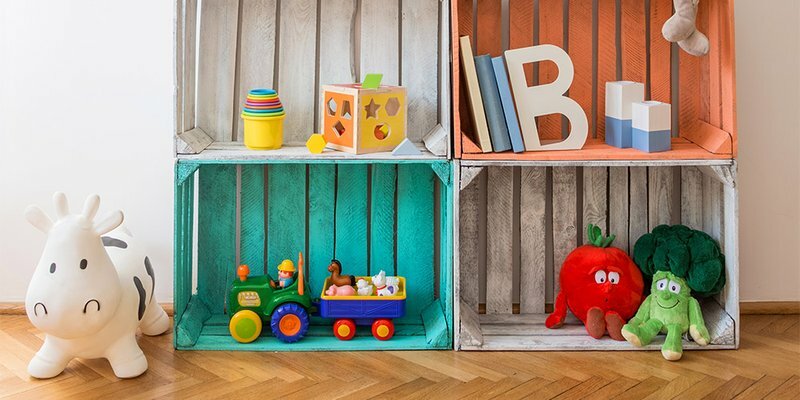 Display these meaningful bits and bobs on a dedicated shelf or dresser unit, and add to them as your child discovers more. Handcrafted and found details can really help to bring a homely vibe to children's bedrooms. 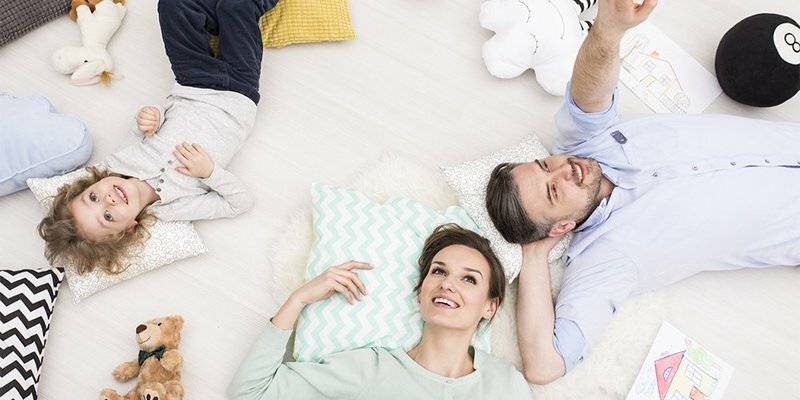 Floor cushions and pouffes are perfect for children’s bedrooms as they can be pulled out for playing with friends or gathering together around a family board game. Choose snuggly fabrics and colours that work with the style of the room – bright shades are always fun and patterns can be easier to keep clean. Floor seating also doubles-up as a perch for bedtime stories or for cuddling into with a book on a rainy day. They're simply ideal! Children often play on the floor, needing the space to spread out their toys and move about. With this in mind, ensure your child's bedroom has an area where there's plenty of room. And as toys, crayons and little feet are flying about, it's also a good idea to choose a practical type of flooring. Carpet can get dirty all too easily in this environment while laminate can often feel cold and hard. Vinyl tiles on the other hand, are a great choice for a child's room. They are warm during any season, comfortable for little bottoms and surprisingly quiet underfoot. They're also very durable and easy to clean so you don't need to worry about scratches or those little colouring accidents. 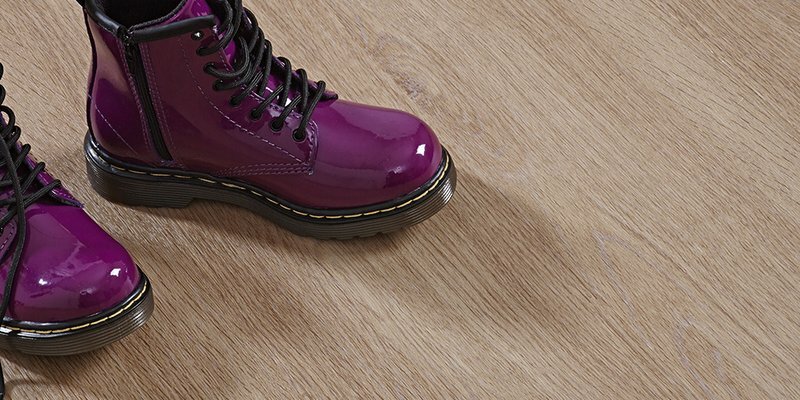 Get some inspiration for vinyl flooring here. Kids grow up all too quickly so it’s a good idea to design a space that can adapt with them. By keeping walls white, touch-ups are easy and all the fun is in the accessories. Kids also get bored really quickly so that orange wall they love today could be their least favourite colour tomorrow! Avoid matching or novelty items too. A child’s room can look much more elegant if pieces have quality and and are fit to last. Choose white or wood furniture and neutral walls for the freedom to change-up the styling to suit your child's ever-changing interests.